Between the Sixties and beginning of the Eighties a British Yard called Dagless built a sucessful range of power yachts based upon a design from Jack Francis Jones: the Fleur de Lys of which different versions ranging from 50' to 98' where built. 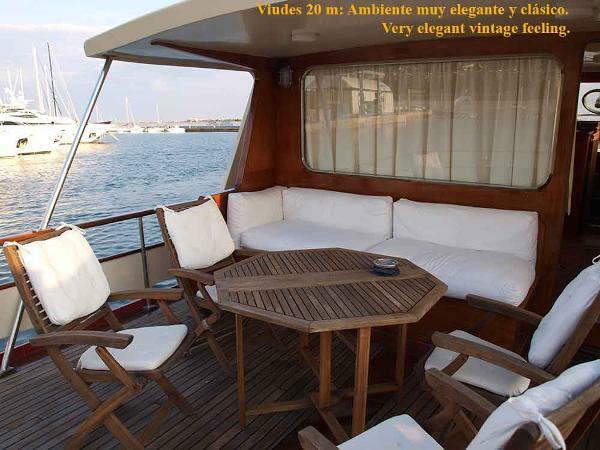 Towards the mid Sixties, three different families of the Catalan gentry placed an order for three 20 m. boats at the Astilleros Viudes (founded in 1940) based on the Fleur de Lys design. They were the Geno, the Danae and the Amusco IV. 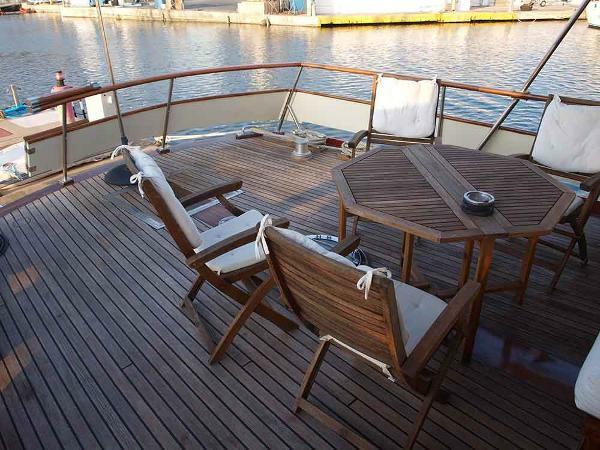 Having the same hull lines, each one differed from the other on the deck and internal lay-out. They formed a Mediterranean improvement on the original Fleur de Lys design. In fact, the life “en plein air” was better cared of and the internal comfort well detailed. All three boats, of a very high craftmanship and much more opulently finished than the original British built boats, are still sailing nowadays: the Geno in Italy, while the Danae and Amusco IV still in Spanish waters. 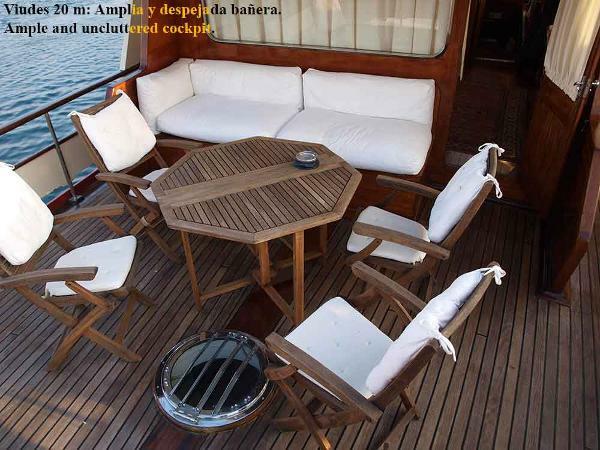 The Amusco IV has been completely restored a few years ago. She received a full check to the hull, cleaning and painting inside, new engines, new electric and hydraulic systems, new galley and furniture equipment. Since then, she has sailed very little, always being maintained in good shape. Today she needs the electronics and a new Official inspection to get out sailing again. This boat is luing not far from the Barcelona International Airport: you could arrive there early in the morning, visit the boat and come back home the same day. You can write us in Spanish, English, French and Italian.